Home Advertising Blogger SEO How To Guides Traffic How To Do Improved Keyword Research For A Blog? How To Do Improved Keyword Research For A Blog? Everybody these days, looking for bringing massive traffic to their blogs and websites. Many bloggers are posting useful and quality content on their blogs, which is a signal of greatness as 'Content Is A King' in SEO. 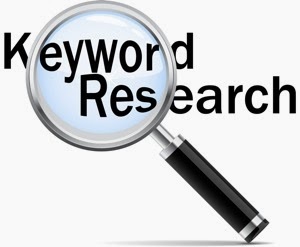 But many bloggers are not looking to do keyword research for their blog posts. While, keywords will help you to gain more traffic from several search engines, specially Goolgle Search. Keywords are much more useful to bring a lot extra traffic if you are having good content on your blog posts as well. If you are writing about any product of Apple company, you'll be well-prepared about the information to share. But you are unaware that what terms will be used by people to search for that Apple product's information. So, you need to do keyword research before writing any blog post to reach higher level with incoming search terms for your blog posts by knowing and including the search terms that people use. When you start writing a blog post, think about the terms that how people will search for it and what search terms they would use to find the information. Keywords can also be called 'Search Terms'. All you need to do is to think about search terms for specific topics. For example, if you are looking for some information, than think that what terms you would use to get that information. In the same way, think about audience that what will they type to get the information. There is an excellent Google Keyword Research tool which is also a great way to look for best keywords. The Google Adwords tool is made for advertisers to see Cost-Per-Click (CPC) rate and number of searches on monthly or yearly basis for many different keywords on Google. Its not so meaningful for bloggers and webmasters but still very helpful. Hopefully this information has helped you a lot. Stay tuned for more tips.